In MASSIVE news for Geelong today, Red Hot Chili Peppers will be performing at Mt Duneed Estate on Saturday March 2 for a very special one-off a day on the green performance. 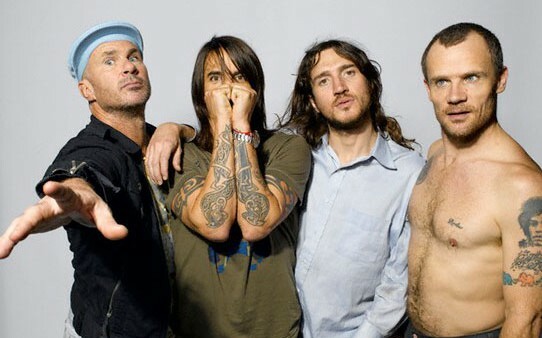 Playing their first Australian headline tour in 12 long years, Red Hot Chili Peppers will bring their unique funk-rock sound and high-energy performances to Australia and New Zealand for arena and outdoor shows this coming February – March. The Peppers are one of the most successful acts in rock history, often performing in front of stadium and festival audiences in excess of 100,000. The Australian tour will start with a rare intimate show at Hobart’s Derwent Entertainment Centre – the first time the LA-based band will have travelled to Tasmania – followed by arena, stadium and outdoor shows around the country. The band is expected to play a set comprising a selection of tracks such as Dark Necessities lifted from their current and 11th studio album, The Getaway (which spent two weeks at number one on the ARIA Chart), plus greatest hits and classic album tracks such as: By the Way, Can’t Stop, Snow (Hey Oh), Otherside, Californication, Under The Bridge and Give It Away. The show isn’t until March, but until then enjoy this epic throwback track below. Tickets on sale Monday November 26 at 12pm via a day on the green.